MARATHON ALL NIGHTER: “Cuts by Cupid” was 24 hours of cutting hair for children cancer patients and to break the current Guinness Book of World Records. The event, at America’s Career Institute Inc.[ACI], 3437 W. 26th St., 2nd Floor, Chicago, IL 60623, began at 10 a.m. Thursday, Feb. 13th and ended at 10 a.m. Friday, Feb. 14. 2014. This marathon hair cutting event attracted more than 250 people willing to cut their hair for a great cause and to try and break the Guinness record of collecting 200 lbs. of hair within a 24 hour period. “UNFORTUNATELY, we were only able to collect 30 pounds of hair. We didn’t realize how light hair is,” said Eduardo Caraballo, Director of Admissions. “A man with four long pigtails [two in front and two in back of his head] donated the most hair,” said Rogelio Carabello, ACI Admissions Recruiter. SEVERAL ACI students cut hair the entire 24 hours. “It was amazing how many parents and children participated; our school was crowded. Everyone, from technicians, to participants, to on-lookers, were friendly and patient. It was festive! I believe everyone enjoyed the event,” said Josefina Caraballo, ACI School treasurer. All the hair collected will be donated to the Michigan based organization, “Children With Hair Loss”. The organization will have wigs made for children who have lost their hair through cancer treatment or from any disease which causes hair loss. “Cuts by Cupid” will be an annual event in Little Village. BUSINESS OF THE WEEK: Owner Jose Campillo has opened his new restaurant, “D Chile”, located at 3443 W. 26th St. D Chile specializes in cuisine from Mexico City where Jose was born. Jose said: “we serve many delicious Mexican dishes; for example, Quekas [$3.99] papas con chorizo, Chicharron, en salsa verde, Asada, Tinga de pollo, Pastor, Lengua [Queso]; El Huge Guaraches [$5.99]; El Sope Frito [$3.99], El Concentido [$3.99] Bistec, tortilla hecha a mano y nopal, and Sopa, just to name a few. The sope menu changes every day with many more creative dishes. D Chile also has a carry-out service. Hours are 8 a.m. to 10 p.m. Monday to Sunday, telephone: 773/522-3443. We wish Jose and “D Chile” much success. NO VOTES: Here are the stats of how many registered voters voted and how many did not vote in the eight Chicago Latino wards in the Tuesday, March 20, 2012 Democratic Primary election. voters, in our respective Wards, voting? Are voters indifferent? Is it apathy, uninformed, lack of interest in politics, or merely a matter of not caring? 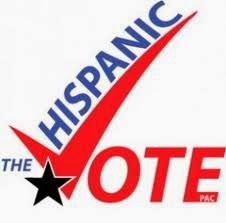 For those of us who are involved in politics we must encourage our Mexican/Latino communities to VOTE. Para el futuro de nuestros hijos! For the future of our children! THE NEXT Primary Election is Tuesday, March 18, 2014. Early voting BEGINS March 3-15 at 51 Chicago sites. All sites are open Monday through Saturday, from 9 a.m. to 5 p.m. For more information call the Chicago Board of Elections at 312/269-7900.